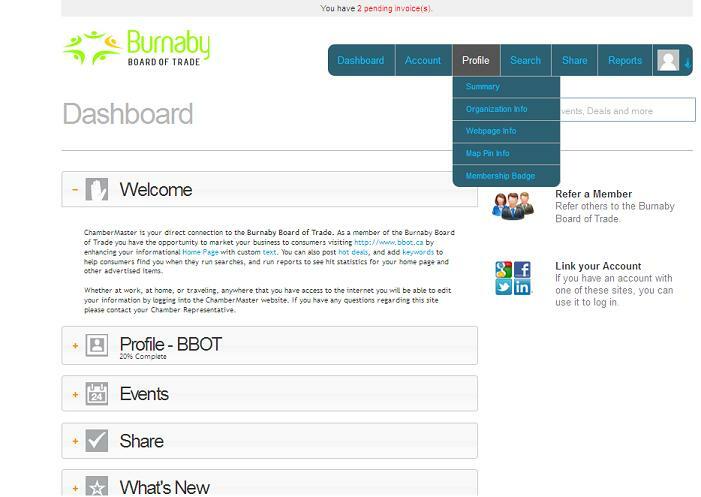 Welcome to bbot.ca, the official website of the Burnaby Board of Trade! This information guide is designed to help you navigate some of the features of bbot.ca to maximize your member experience. The new bbot.ca website makes it easier to find information, share news, and includes a brand new searchable online member directory. Best of all its interactive, allowing members to update their own information, post Hot Deals and Member 2 Member discounts, submit member news, register for events, view and pay bills online, renew their membership and more! All the information on bbot.ca can be found under one of the category headings (tabs) along the top navigation bar on every page. Simply hover your mouse over any category (e.g. “Membership”) to find a full list of subcategories (e.g. 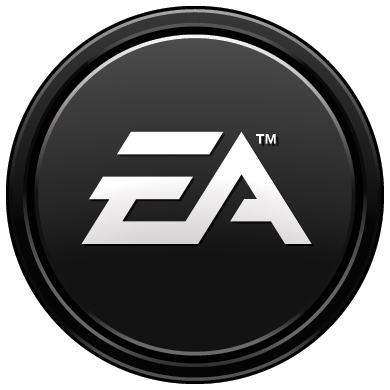 “Membership è “Member Benefits”, “Hot Deals”, etc). For your convenience, four large circular buttons along the bottom of the home page will link you directly to popular pages for Events, Latest News, Becoming a Member, and the Membership Directory. Write a custom 200 word description for your company “homepage” (this will appear in your online directory listing). Don’t forget to enter keywords to maximize your searchability! Verify your location on the map. View your invoices and account activity. You may need to adjust/update the list of employees and reps the BBOT has on file for you. Post a Hot Deal for the public or members only. Please Note: Any changes made to your company’s general information will not be reflected in this year’s (2013/14) print version of the Membership & Resource Directory. Explore “Member Benefits” to find out how to save money for your business. Explore and post Hot Deals and Member to Member Discounts. 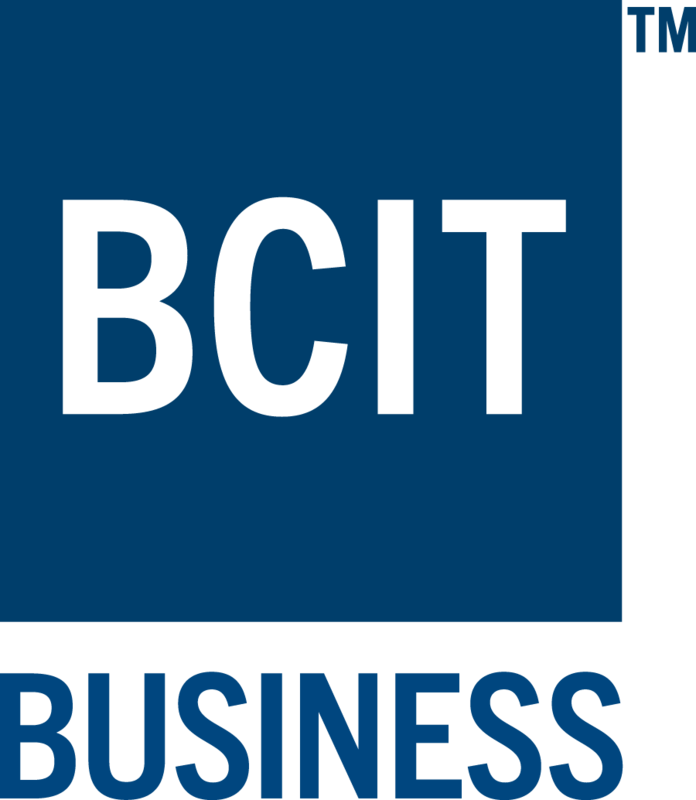 The Burnaby Board of Trade Hot Deals and Member 2 Member Discount Programs are a free service to our members designed to help them promote their business (by submitting an offer) and save money (by taking advantage of an another company’s offer). Members are encouraged to offer a special discount on products or services to be made available either to the general public or exclusively to other BBOT members. HOT DEALS are offers made available to the general public. Typically these deals offer customers significant savings on a product or service, and are often short term. Member 2 Member Discounts are offers made available exclusively to other Burnaby Board of Trade members. The deals are typically offered long term or ongoing. Listings of both Hot Deals and Member 2 Member Discounts can be found under the ‘Membership’ tab at bbot.ca. To post a new deal, simply login to your member account* and select ‘Hot Deals’ on your menu sidebar. Click ‘Add a Hot Deal’ to begin a new post. When filling in the post information, you will notice a field called ‘Visibility’ asking you to specify ‘Community Hot Deals’ or ‘Member to Member Only’. This is where you decide if your offer will be available to the public or members only. Once submitted, your offer will be reviewed and posted shortly. *If you have lost your account login information, please email admin@bbot.ca for help. The Member Directory is the key resource for locating Burnaby Board of Trade members. Businesses can be searched by category, keyword, contact or alphabetically. 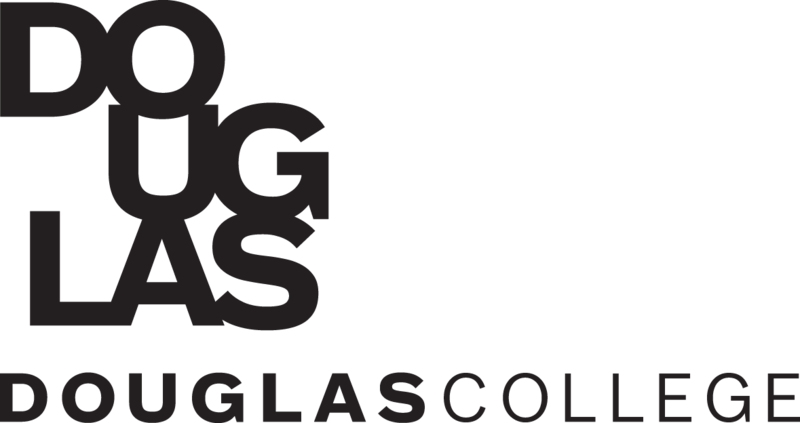 Each company in the Directory has its own listing page which includes contact information, links to their website, and can include a 200 word company description (info can be edited by logging in; see “Member Login” above for instructions). 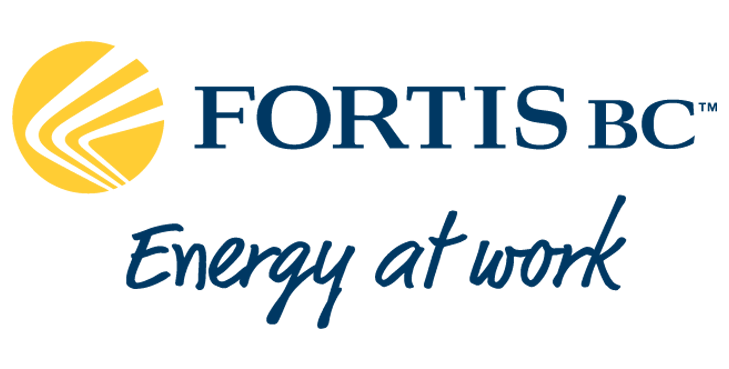 The bbot.ca events calendar features a complete listing of upcoming BBOT events, and allows members and the public to register online. Other pages under the Events tab include information on hosting and/or sponsoring events, as well as event photos. This tab features pages with information on all BBOT business services (such as name approvals and certificates of origin) as well as links to additional online resources. News: BBOT News (bbot.ca), Member News (bbot.ca), Weekly e-Newsletter, Voice of Burnaby newspaper, eBlasts, BBOT Blog (bbot.ca). And if you want to reach a broader audience, members also enjoy reduced advertising rates in prominent publications such as the Burnaby Now, Burnaby Newsleader, the Globe & Mail, and more. Visit the “Promotional Opportunities” page under the Membership tab for more details. New members are encouraged to send us their logo and a short 50 word description of their company which we will include in one of our weekly newsletters as a great way to introduce them to the community. The Member News section of the website offers members a forum to share all their exciting news. Posting is made easy with the Member News Submission Form located under the News tab. Just fill in the fields, submit, and your story will be reviewed and posted usually within one business day. Please note: Member News is reserved for sharing milestones, recognitions, significant news, and events. Pure advertising will not be accepted here. Gain access to our vast social media network and be part of the conversation! Like us on Facebook, follow us on Twitter, and connect with us on Linkedin. The Programs tab at bbot.ca gives viewers a peek at some of our proud initiatives. To help reduce your environmental impact while saving money and promoting your business, take the Pledge at bbotpledge.ca. Or to engage with Burnaby’s most promising young professionals, visit www.accessprogram.ca to find out more about Access, our student career development program. If you experience any trouble navigating bbot.ca, or if you have any questions, never hesitate to contact the BBOT at (604) 412-0100 or by email to admin@bbot.ca. You may also visit the Contact tab for our address, hours of operation, additional contact information, and a map of where we are located.